Another powertool feature and yet again widely unused by customers. Workspace templates. Often developers have their own way of organizing folders and files. Some people create different structures than others. 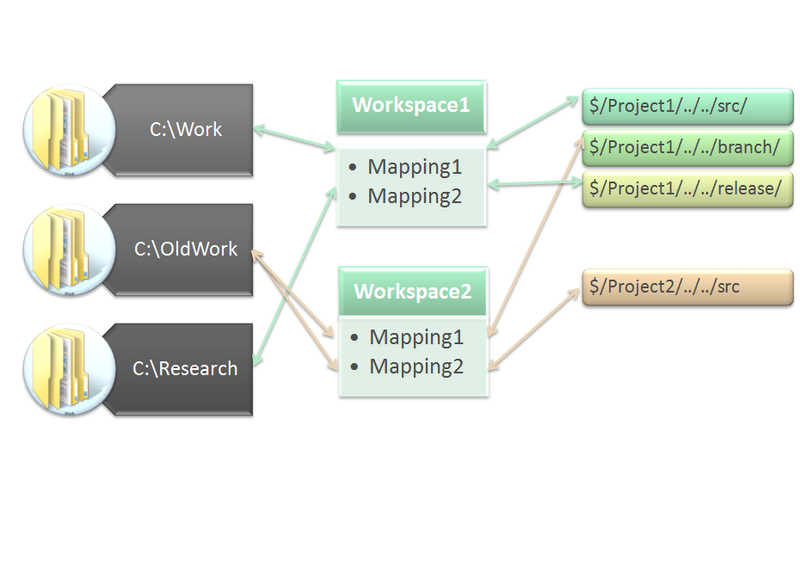 When working is a development team in 1 project, it is very useful to have the same structure on your local disk. In this manner you can use relative paths and make configuration a bit easier. TFS provides you with the concept of workspace. 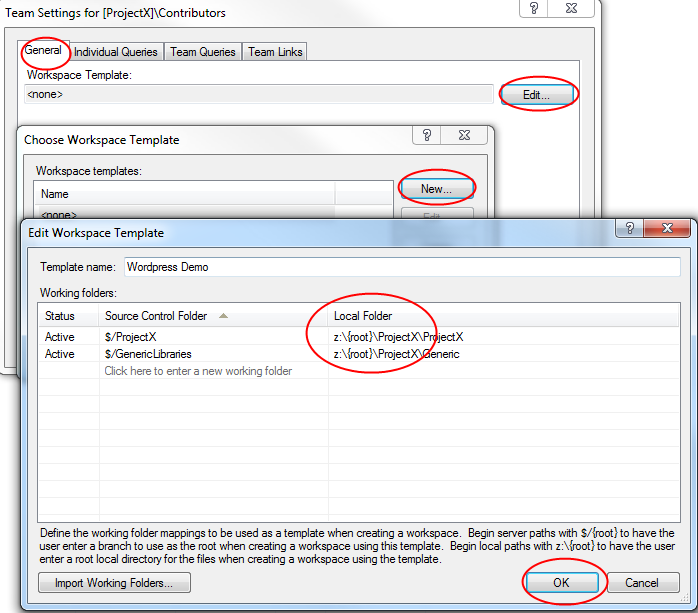 In short, a workspace is a mapping of one or more local folder(s) to one or more source control folder(s). 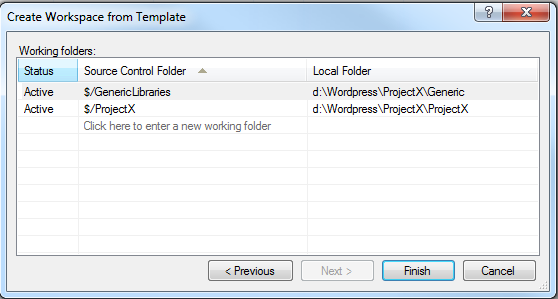 Because you can flexibly create workspaces developers have a lot of freedom in structuring their projects. 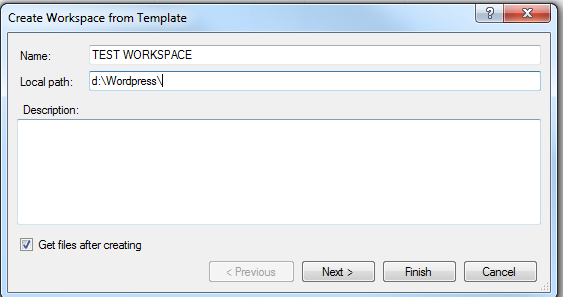 With workspace templates you can provide your developers with a standard way of organizing their workspace. Your whole team uses the same structure and enjoys all the benefits. Great post! Exaclty what we’ve been looking for here! Is this possible in 2012? Yes ! You need to install the TFS 2012 powertools ! 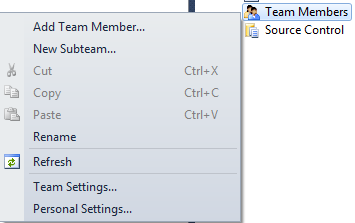 You find this in the team members section of Team Explorer. The “why” should be answered by the product team. I can only agree with you!